With great and festive solemnity yesterday, Holy Mother Church entered into the joy of the Christmas season as she welcomed the Birth of the Savior and Lord, Jesus, the Son of God and the Son of Mary. 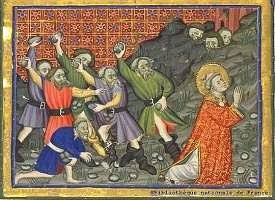 Today, as she continues her celebration of Christmas, the Church turns her gaze to Saint Stephen, the Protomartyr, who was killed by stoning because of his testimony on behalf of the Risen Lord. The juxtaposition of these two feasts is a clear reminder that the Advent of the Son of God is not, as Pope Benedict XVI and Pope Francis have frequently reminded us, is not a fairy tale but a true and historical event that has changed the world because the presence Child of Bethlehem requires that each person makes a choice, either to love him or to reject him. Throughout the centuries those who have chosen to love invited others to love him, too, and met their death because of this invitation. The same continues in our own day. One need only to the present situation is Syria, in Iraq, in Nigeria, and in South Sudan, to name just a few places where Christians continue to be called because of their faith in Jesus Christ. Before the Nativity scene, may we pray in a particular way for those suffering persecution for the faith. As we continue our joyful - and peaceful - celebrations of Christmas, let us not forget to remember those who cannot celebrate as we do. Saint Stephen, pray for them! O come, let us adore! Let us pause before the Child of Bethlehem. Let us allow our hearts to be touched, let us not fear this. Let us not fear that our hearts be moved. We need this! Let us allow ourselves to be warmed by the tenderness of God; we need his caress. God’s caresses do not harm us. They give us peace and strength. We need his caresses. God is full of love: to him be praise and glory forever! God is peace: let us ask him to help us to be peacemakers each day, in our life, in our families, in our cities and nations, in the whole world. Let us allow ourselves to be moved by God’s goodness. It seems that every year more and more people remark that “if just doesn’t feel like Christmas.” Comments like this beg the question, “What does Christmas feel like?” For many of us, it is easier to say what Christmas does not feel, as opposed to what it does feel like. The “feeling of Christmas” is often lost in the rush of buying and wrapping, in the baking and cleaning, in the writing and shoveling. In an attempt to find the “feeling of Christmas,” many seek to retreat to the memories of years gone by to recapture a time that “felt like Christmas,” but this feeling remains rather vague and defies description. We want everything to be perfect at Christmas, forgetting that the first Christmas was not what we would call the perfect celebration. Some long for a white Christmas, finding the “feeling of Christmas” in the cold and snow, but if the snow and cold continue into January and February, the “feeling of Christmas” does not. Others turn to their favorite Christmas movies and cartoons, but watching these in the summer does not produce the “feeling of Christmas.” Still others look to a favorite cookie or even to a particular place, but these do not bring about the “feeling of Christmas” at other times of the year either. What, then, is the authentic feeling of Christmas? The more we search in vain for the feeling of Christmas by turning to nostalgia, the sadder we begin to feel and the more we wonder what is wrong. Why can we not find the Christmas spirit? The answer is simple: Too often we forget that “our infinite sadness can only be cured by an infinite love.” In the hustle and bustle and the increasing commercialization of this most sacred of days we forget what Christmas is all about; we forget that the true feeling of Christmas is joy, a joy which cannot be found in the incidental aspects of our celebrations but only in the poor and humble manger of Bethlehem. Try as we might, we cannot produce this joy on our own; this joy, the authentic feeling of Christmas, is only brought about by faith. Far more than snow and trees and presents and gatherings and shopping and eating, Christmas is about joy, about authentic joy. The message of joy is the very message delivered by the angels to the shepherds: “Do not be afraid; for behold, I proclaim to you good news of great joy that will be for all the people. For today in the city of David a savior has been born for you who is Christ and Lord” (Luke 2:10-11). But the only way this joy can enter into us is if we are first willing to acknowledge that we need a savior, one who will save us from sin; without the necessity of a savior and an openness to his coming, the proclamation of the angels is not a message of any importance. 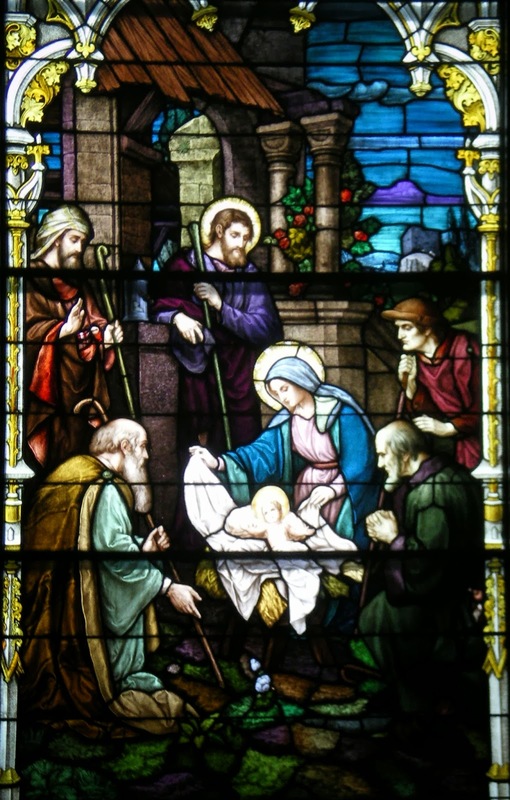 If it does not feel like Christmas, we must ask ourselves, in all honesty: “Have I prepared and opened my heart to welcome this Child who has come to save me from my sins?” It is in this openness to Jesus that the feeling of Christmas is found; he lifts our sadness and enlightens us with the joy of salvation. If you want it to “feel like Christmas” this year, open your heart to the merciful God who “never tires of forgiving us” and humbled himself to become one of us. Open your heart anew to this Child so that by receiving him you may receive everything. 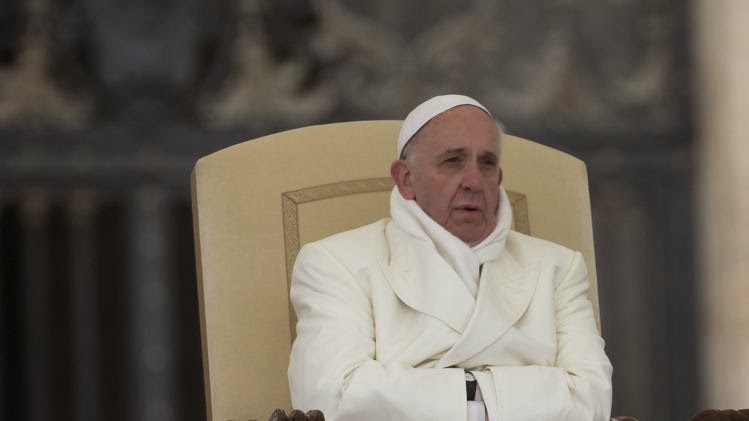 Pope Francis, Evangelii Gaudium, 265. At attention, or at ease? I was in St. Peter's Square yesterday to receive the blessing of His Holiness Pope Francis at the conclusion of today's General Audience. This position turned out to be not a bad one, especially since one can never be too certain when a graced moment will come. When, finally, the various summarizes of the Pope's address were given in the major languages of the world, the Holy Father stood to pray the Lord's Prayer with the faithful and to impart to them his blessing. At the conclusion of the Pater Noster, His Holiness gave the usual liturgical greeting for a Bishop: "Peace be with you," which, at this moment, was immediately to be following by the papal blessing. As those words were spoken the Swiss Guard, who had been standing "at ease," as it were, clicked his heels together and stood at attention to receive the blessing of the Pope. Once the blessing had been imparted he returned to being "at ease" and crossed himself. That simple act of standing at attention to receive the blessing of the Bishop of Rome gave me much to ponder as I made my way back through the streets of the Eternal City to the Casa Santa Maria. With what devotion, with what gratitude, do we receive blessings? How attentive are we when receiving a blessing? What does our posture say about our receptivity and the disposition of our hearts? Have we allowed ourselves to take blessings for granted? There once was a time when the faithful would kneel to receive the blessing of a priest. This change of posture was intended to outwardly manifest an internal and humble desire to be blessed. Those days are, for the most part, long gone but very soon we will hear and sing with joy, "O, come! Let us adore him!" How will we do so? At attention, or at ease? Thursday evening, with some trepidation, I watched The Hobbit: The Desolation of Smaug (in English, with Italian subtitles). If memory serves, the last movie I saw in the theaters before The Desolation of Smaug was The Hobbit: An Unexpected Journey. Since The Hobbit is my favorite of Tolkien's works, my excitement at the release of An Unexpected Journey was very high, admittedly too high. 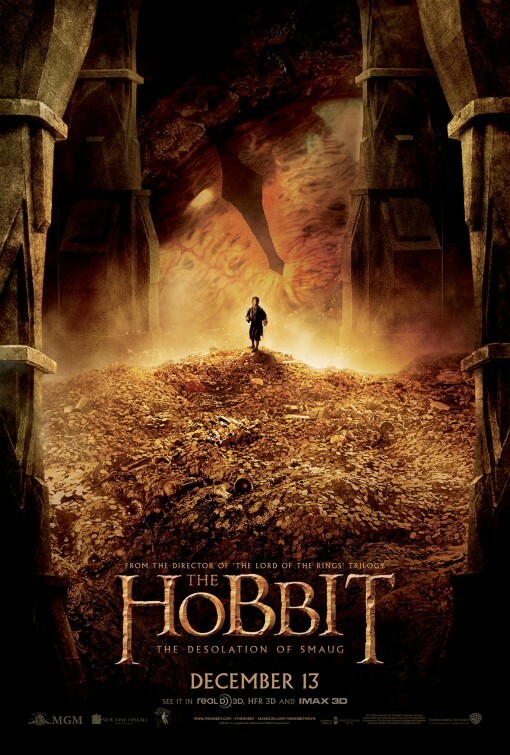 Having left An Unexpected Journey both frustrated and angry, I went to see The Desolation of Smaug with one caveat continually running through my mind: This is Jackson's The Hobbit, not Tolkien's. This remains undoubtedly true for The Hobbit: The Desolation of Smaug; it is Jackon's, not Tolkien's. The many - and drastic - departures from, and additions to, the story of Tolkien this time did not anger me, in no small part because I had prepared myself and fully expected to become angry (if you love the book, you should do the same); I'm glad I prepared myself so, because I left The Desolation of Smaug feeling somewhere in between disappointment and ambivalence. I'm not still not sure which it is. As I ponder my reactions to the film, two thoughts return again and again. First, it seems to me that Jackson has tried far too hard to directly connect The Hobbit to The Lord of the Rings. The Desolation of Smaug, when not filled with ridiculous fight scenes, is much darker and more menacing the Tolkien's book, and not for the better. Much of the menace seems forced, in no small part because it is not present in the book. Second, when you read the book you know that you are reading fantasy but it feels as though it actually happened, that you are reading a bit of history. Tolkien's style of writing draws you - gently and with great skill - further and deeper into the story and you feel a personal connection with the characters. The Desolation of Smaug lacks both this feeling of reality and the personal involement with the story, which results in Middle-earth no longer feeling real. There is no grace or dignity about the elves of Mirkwood. Though Tolkien described them as "more dangerous and less wise" than their kin, which the movie notes, he also said they "are not a wicked people," but in The Desolation of Smaug Thranduil seems a wicked king. The innuendo between Fili and Tauriel does nothing whatever to advance the story, except to drag it further away from the text, and is entirely unnecessary. This loss is achieved in no small way through the battle sequences. On the one hand, you have Legolas balancing himself on the heads of two dwarves in two barrels moving in the small rapids of a river as orcs shoot arrows at him and throw themselves at him, yet he never loses his balance. On the other hand, you have Tauriel - who is herself a complete fiction - single-highhandedly going after a army of orcs without receiving so much as a scratch. It's all too much and, frankly, borders on the unbelievable and reminded me far too much of Hidden Tiger, Crouching Dragon, which I thought immensely stupid. If the unbelievability weren't enough, the scene with Bombur in the barrel was simply cartoonish and ridiculous, though enjoyed by the Italian audience. I was pleasantly surprised to find that the many changes visible in the various trailers were not as horrible as I expected them to be; however, the unforeseen changers in Lake Town and under the Lonely Mountain are so far removed from anything that Tolkien wrote that as I left the theater I actually wondered: Did even 50% of The Desolation of Smaug come from Tolkien? I don't think so. To make matters worse, the immense alterations from the text do not actually increase the suspense of the plot, nor are they necessary for dramatic emphasis, as the writers argued with their changes to the text of The Lord of the Rings, most of which I am able to see their point when it comes to a movie version; however, I cannot understand the changes they have chosen to make here. So as not to end on a negative note, I have three positive takeaways from the film. First, the juvenile humor, so present in An Unexpected Journey is mostly gone from The Desolation of Smaug, with the exception of the innuendo between the elf and the dwarf. Second, the dragon Smaug has been magnificently rendered and is the best dragon I have ever seen in a movie; he is most impressive and is alone worth the cost of a ticket. Third, once again, Howard Shore has brilliantly composed the soundtrack of the film and will certainly make our ears glad once again with the forthcoming soundtrack to There And Back Again. Make Twain once said, "Books! I dunno if I ever told you this, but books are the greatest gift one person can give another." I could not agree more with this sentiment. No one who gives a book as a gift does so randomly, either a random book or to a random person (and certainly not both!). No, giving a book is always a personal choice, either in the choice of the book that is given or in the choice of the person to whom the book is given (and often both). Even when given as a gag gift, a book is chosen for the person; one isn't simply taken off of the shelf and handed over. Indeed, the best book given is the one specifically chosen for a specific person, but such a choice is rarely easy because it is so deeply personal. To give a book is to reveal something of the giver and of his relationship to the receiver. No one who gives a book gifts a book he does not enjoy himself. What would be the point? The choice of the book that is given reveals more than the givers interests - sports, art, history, theology, trivia, etc. ; it reveals something about his personality, about what he holds dear and what he deems important, important and dear enough to share. Books given for particularly important occasions - such as Christmas, birthdays, anniversaries, promotions, etc. - are usually given not because they are especially useful but because they have made an impact on the one who gives the book. In the choice of a gifted book, something of the giver's soul is revealed and the giver makes himself somewhat vulnerable in this action. He opens himself up to the one to whom he gives the book and quietly opens the way for a conversation about what he values most. At the same time, the choice of the person to whom a book is given often says, with more or fewer words, that the giver has found in the receiver something of a kindred spirit, one who is inspired by the same interests and holds the same things dear. To give a book to another is recognize a bond of friendship that is shared, or at least to recognize the potential for such a bond to develop. Hence Voltaire's quip that "only your friends steal your books." Difficult and risky as it is, this Christmas why not give the gift of a book? Make it personal, and make it matter. What book has molded, changed, or inspired you? Let it do the same for another. If you do, your books may not be stolen. This afternoon His Excellency the Most Reverend Thomas John Paprocki will bestow ecclesiastical honors on 152 members of the faithful of the Diocese of Springfield in Illinois. In a ceremony commemorating the 160th anniversary of the erection of the Diocese - the See was first raised in Quincy and later transferred to Alton before being raised in Springfield - two awards will be given. Nine priests will receive the newly established Bishop James A. Griffin Award for many years of dedicated service to the Church. This award is named after the first Bishop of Springfield in Illinois who built and dedicated the Cathedral of the Immaculate Conception and whose namesake adorns the Cathedral. The Bishop James A. Griffin Award is given in the form of a chalice engraved with an image repeated throughout the Cathedral interior. 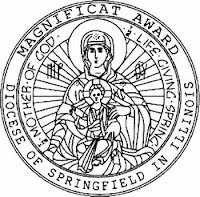 The Magnificat Award will be given to 143 individuals or couples for outstanding service to God and neighbor in three categories: to the Diocese; by a member of a religious community; or to the parish and community. 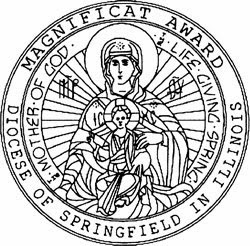 The Magnificat Award takes its name from the praises Mary sings to God beginning at Luke 1:46 and is given in the form of a bronze medallion. I am happy to know many of those being honored today and I wish that I could be present to share in their joy on this happy day. Please join me in keeping them in prayer. For a full listing of the recipients, click here. Saint Nicholas: Giver of gold, candy, and Dr Pepper? It really is a wonder that any business in Italy can survive in the anything but predictable manner of life here. As one example, the bookstore which I particularly enjoy receives shipments of course each week but never seems to know what books are coming in. This prompted repeated stops from me in my quest to find John L. Allen, Jr.'s The Global War on Christians (which, if you haven't yet, you really should read). For four weeks in a row the owner of the story told me when the next shipment of English books was due in and for four weeks in a row I would go to buy the book only to find it had not come with that particular shipment. And, before you ask, he knew which book I wanted and knew of it, but never offered to order it specially for me. As another example, the store from which I have been buying Dr Pepper with some regularity has not had any for the past five visits I have made to the store, despite repeated assurances it would come in on certain days. Having grown frustrated with the routine disappointment I took to the Internet to acquire my favorite beverage. The buy it online would cost me slightly more than buying it in the store but, so I told myself, at least I would have it. I placed an order on November 30th and was told it would arrive in 3 - 10 days, anywhere, theoretically, between December 5th and 14th. Then, three days later on December 3rd, I received an e-mail informing me the shipment would arrive on December 14th. Just a few moments ago I received a phone call from the office of the secretary here at the Casa Santa Maria that a package had arrived for me. Having no idea what it was or from whom it be I found the package heavy and awkward without any sign of the sender on the outside of the box. When I opened it in my room I was surprised - and very happy - to find the Dr Pepper I ordered. I can't help but wonder if Saint Nicholas has had something to do with this. Each year the writing of Christmas cards to send to family and friends is a tedious pleasure, which this year will take on an additional level of tediousness. They do have a crease already made, but the crease does not always seem to fold the card perfectly, adding to the additional tediousness. At any rate, it's time to start writing. On Saturday evening His Holiness Pope Francis presided at Solemn Vespers I for the First Sunday of Advent in the Vatican basilica. As I made my way to the basilica with two other priests from the Casa Santa Maria I realized - when we were already half-way there - that in my haste to remember my gloves I left my ticket on my desk. Remembering where we were (Italy) and knowing that not having a ticket doesn't seem to preclude entrance to the Wednesday Audiences or much else these days, we kept going thinking we would simply sort it out if need be. After making our way through the extraordinarily long line and passing through the security checkpoint without being asked to present a ticket we thought all was well, but as we passed by the Bronze Doors, however, a member of the security team, an Italian, asked for our tickets. I said to him, "Ho dimenticato il mio biglietto" (which translates to, "I forgot my ticket") and showed him my student ID card from the Pontifical Gregorian University since the prayer service was billed as one for the students of the Roman universities (though that didn't seem to matter much as a great many people who were clearly not students came with tickets). In response, he simply said, "Svizzera" (which translates to, "Swiss"). Not quite knowing what to expect next I began ascending the steps to the Bronze Doors with a sigh. As I approached the guard he saluted (which doesn't happen very often now for simple priests) and I passed within the doors to speak with two of the Swiss Guard inside (did you know the coat of arms of the Pope during whose reign then entered the Guard is engraved on the hilt of their swords? I didn't either, but was pleased to see Benedict' XVIs one of the guard's swords). I greeted them and said, "Ho dimenticato il mio biglietto" and showed them my ID. One of them pronounced my last name - in proper German - and the other guard began looking through a list for my name, but could not find it. The one looked at my ID again and gave my first name, the name of the Gregorian university, and my nationality, but still could not find my name. After some flipping of pages he looked at me and asked in English, "For how many tickets did you make a reservation?" "None," I said. "I forgot my ticket in my room and the Gregorian did not have me give my name." "Oh," he said and simply handed me a new ticket. Sometimes I really think I'd get farther in Italy if I never tried to speak Italian and only spoke English instead. Buon Natale! Mele Kalikimaka! Merry Christmas!